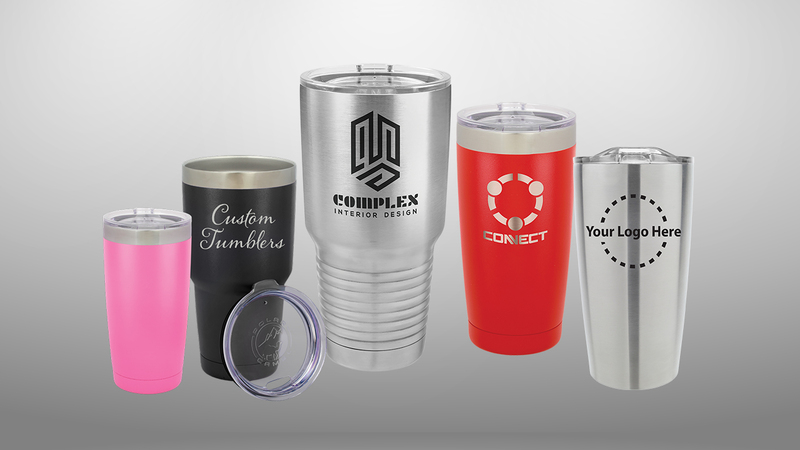 Customize Tumblers with one of our logo's, your logo, a monogram, or your own design. 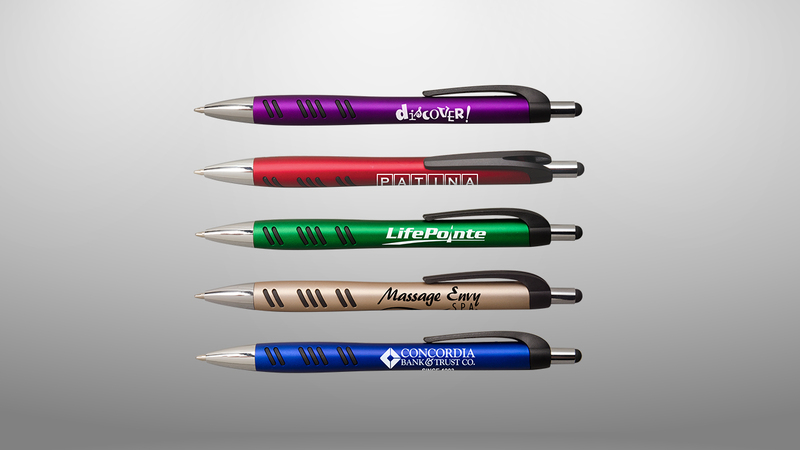 You are sure to find the perfect personalized pen or pencil gift for any occasion. Leather engraving adds an elegant touch to any leather items you’re giving as a gift or keeping for yourself. 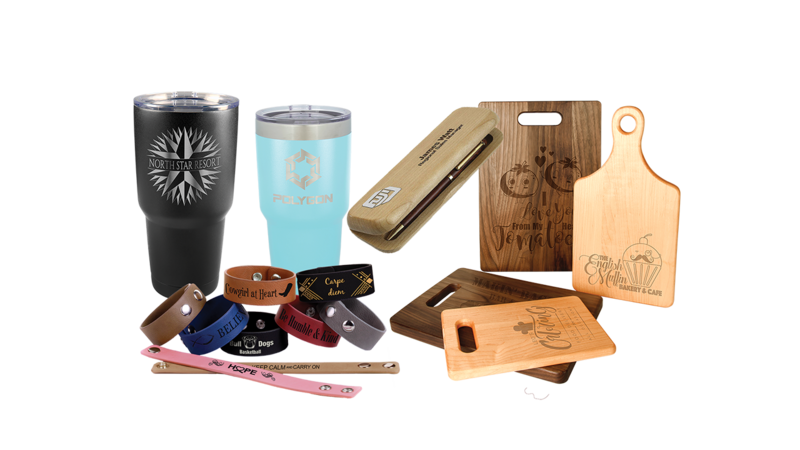 Ready to engrave an item you like? 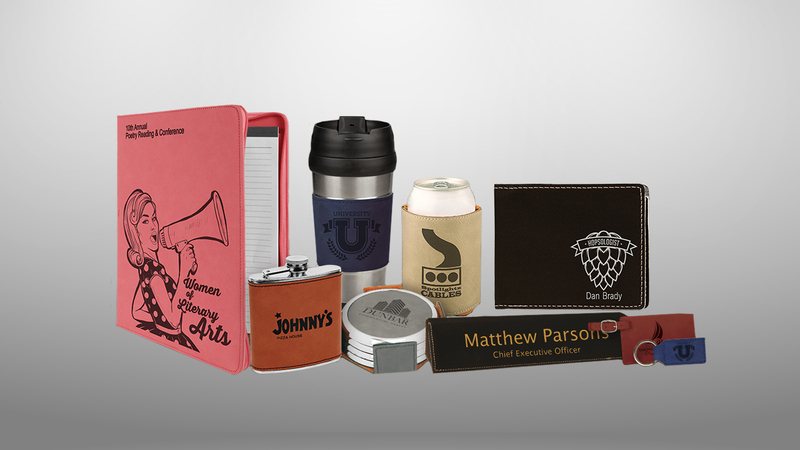 Laser engraving can help you produce unique, high-quality promotional products that make a lasting impression with your customers. Feel free to browse through all the different items we offer. Once you have found the product(s) that's right for you, fill out the form to jumpstart your ordering process. Please make sure to fill out as much of the form as possible so we can best serve you.